Let’s get some stockings filled – our Christmas gifts are here! Get something new, give something back! By purchasing one of the awesome items from our Christmas Shop you are helping a young person get their life back on track after cancer. How great is that? Buy for someone else or as a treat for yourself, there are heaps of goodies to show your support for the Trust. 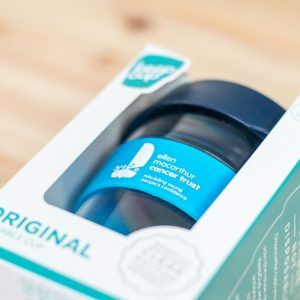 KeepCup – Always on the move? Take the Trust with you wherever you go! Re-use, re-fill, re-spect! We like to do what we can to reduce waste and look after our environment, and now you can refuse the disposables and enjoy a drink on the go with our Trust KeepCup. Chilly’s Bottle – Keep hydrated with a LIMITED EDITION Trust branded Chilly’s Bottle. Warm water and tepid tea are a thing of the past with Chilly’s advanced double-walled vacuum insulation. Keep drinks ice-cold for up to 24 hours or hot for up to 12 hours. Boing Bracelets – whether you go for a Dove Grey double wrap or Ocean Blue single wrap, make a cool statement about your Trust support with these British made bracelets in genuine sailing rope, held by ultra-strong magnetic clasps embossed with Trust branding. 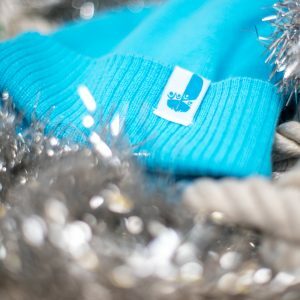 Bobble Hat – keep cosy with our super bright and super cool Trust blue bobble hats. Ideal for little’uns or big’uns these hats are one size fits all and the embroidered label shows off the iconic Trust logo. Equally as awesome for chilly winter walks or for your next Trust trip. Hoodies / Zipped Hoodies – wear and share your support for the Trust with our exclusive super popular hoodies available in either pull-over or zipped versions. With chest and back logos, and the Trust website along one sleeve, our Trust-blue Hoodies make a big statement. Be smug and super organised and get their stockings filled now at the Ellen MacArthur Cancer Trust Christmas Shop. If you are buying gifts online this Christmas there are ways you can raise money for the Trust without doing anything extra. Get double the feelgood factor knowing someone’s getting a gift they will love while you support a young person in recovery from cancer. Instead of using the usual Amazon website to buy presents, go to smile.amazon.co.uk and Amazon will donate 0.5% of the net purchase price (exc. VAT, returns & shipping fees) of eligible purchases to the charity of your choice, i.e. us! AmazonSmile is the same Amazon you know, just every time you buy a young person benefits. GoRaise (www.goraise.co.uk) features tonnes of your favourite high street and online retailers and brands, including John Lewis, M&S, Next, Adidas and Argos. By registering to shop through the GoRaise website, you can take advantage of the retailers’ many different offers to make money for your chosen charity. Are you an eBay seller? If so could you register for eBay for Charity (charity.ebay.co.uk) and donate a portion of your sales to support young people in recovery? eBay for Charity has partnered with the PayPal Giving Fund to make it easy for sellers to donate 10% to 100% of an item’s final sale price to your favourite cause.